If you wake up to water dripping from your roof into your home, you can stay calm and call the water damage Maple Valley specialists at 911 Restoration of Seattle and you will get help at your door within 45 minutes, no matter what time you call. Our office is available 24/7/365, every day of the year, including holidays, so you can confidently call us literally any time and you are guaranteed to get fast assistance. 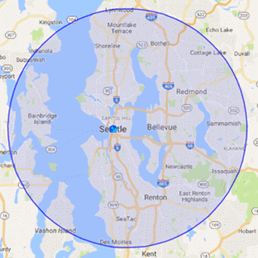 We take great pride in our ability to offer around the clock help, and our Maple Valley water extraction pros take that responsibility to our community very seriously. If you call us with a water emergency, we will implement same day services as soon as we can after arriving to ensure that you have the best chances of obtaining a complete recovery. Contact our Maple Valley flood damage eradication crew today and we will get your renovations started with a free home inspection as soon as we arrive. Our Maple Valley flood cleanup staff wants homeowners to as safe as possible after their property has been invaded by water, and by following these prevention tips, we hope to help you avoid costly repairs and permanent damage. Ensure proper drainage. Clean your gutters of all leaves and other debris, direct your downspouts at least 5 feet away from the property and slope your yard away from the home’s foundation. Test your sump pump. First of all, if you don’t have a sump pump then you should get one. 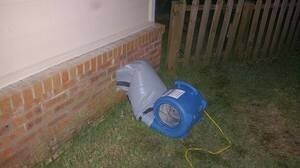 It is best to install it in the part of your home most prone to flooding. Check it at least once a year, testing it more frequently during the rainy season. Repair any water leaks. Fix any damage to your pipes that may be causing any dripping and leakage. Check for dark spots under piping, under ceilings and on walls that could signify an internal leak. Immediately repair any cracked caulking and damaged roof shingles. Call our licensed, bonded and insured Maple Valley water disaster techs today and we will make sure you get on the path to a fresh start. Our customers can rest assured that when you hire our Maple Valley plumbing professionals, you are getting the best possible repair workers for the job. Not only do we know how to restore your home and salvage your items after it has been flooded, but we pay special mind to make sure your emotional wellbeing is in good shape and that you are staying safe throughout the entire process. This can mean multiple things, but mainly we do this by taking over every part of the process, from conducting all the renovations to filing your insurance claim. Our Maple Valley water removal team wants you to be able to sit back and relax as much as possible while we take care of the rest. So, call our water damage Maple Valley team with 911 Restoration Seattle and we will get your home fixed up, dried out and looking beautiful again in no time today!